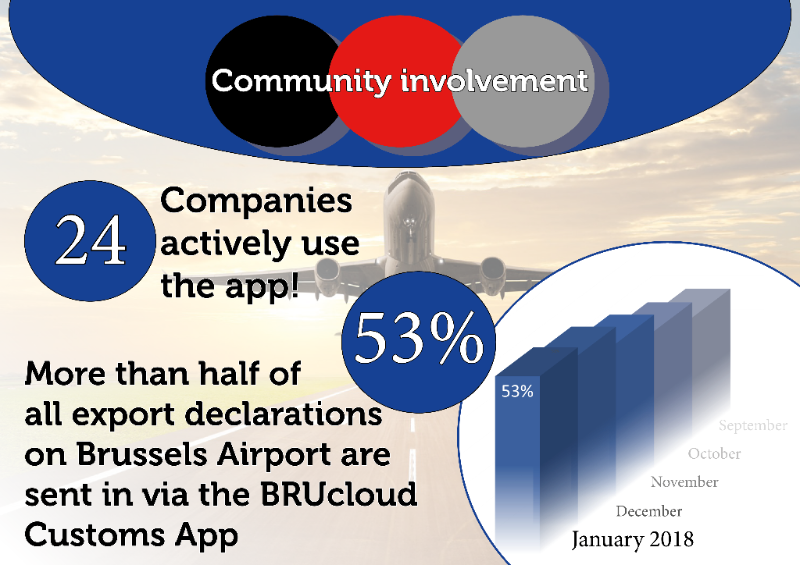 The BRUcloud Customs App, a great success! Since Friday September 1, 2017 the Belgian General Administration of Customs and Excise expects an electronic arrival message, namely an IE507 message in PLDA, to notify the customs of the arrival of the goods that will be exported. This measure has been taken to evolve to a fully operational Export Control System. It is planned to go live in the second half of 2018. A temporary link to the BRUcloud for accelerated clearance of export declarations is being offered by Air Cargo Belgium to overlap the period of time until the go-live of ECS. 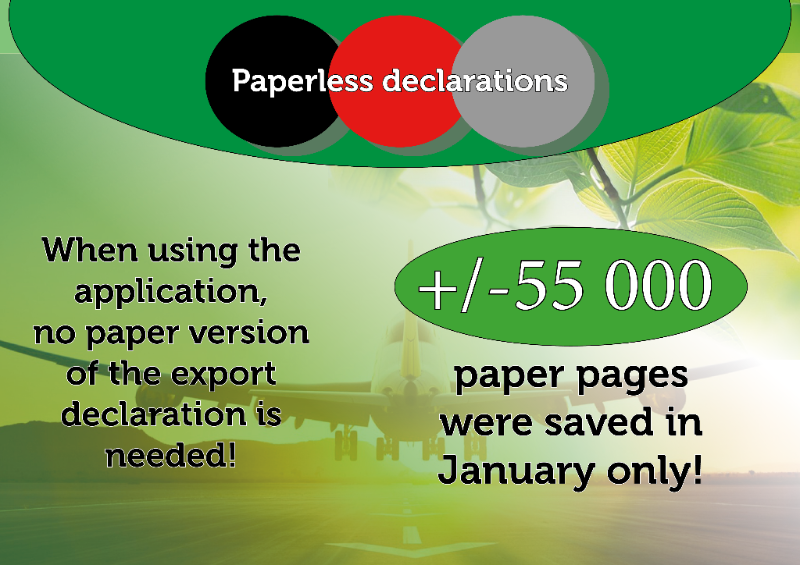 Below you can find facts and figures of the Customs Application. Interested in using the app? 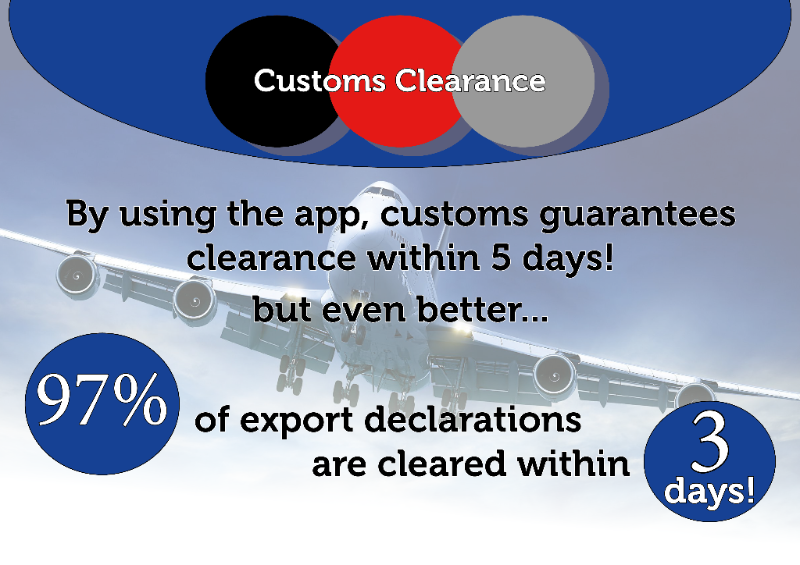 Contact customs@aircargobelgium.be for more info!